Prime Space will be sending humans to Mars in four years, so they are conducting an extensive training simulation. They've chosen three astronauts to participate in the 17-month simulation and hopefully eventually travel to Mars. Chapters are narrated by the three astronauts as well as their immediate family members: Helen and her daughter Mireille, Yoshi and his wife Makoda, and Sergei and his son Dmitri; and one Prime employee named Luke. This is an extremely realistic and challenging simulation and as it progresses, the participants begin questioning their understanding of what they're experiencing. Very much character-driven, this is exactly my kind of science fiction. We get to know the characters through their own narration, as well the perspectives of the other characters. Their relationships were all complicated, but due to the nature of being an astronaut, everyone tried hard to be even-keeled and unemotional (but not too unemotional.) Sergei is in the process of a divorce, which I think was as amicable as he says. Helen's relationship with her daughter is a bit strained and her daughter obviously rather troubled, but they tried to project a healthy image of their relationship. I never really got a handle on Yoshi's wife, but she was fascinating, constantly trying on different personas as a sort of performance art, hiding her real self from everyone including Yoshi. And then there was the Prime employee Luke, whose role in this whole story I was quite unsure of for a while. His perspective was important, but in a way I don't want to reveal too much about. The writing is a tiny bit uneven. For instance, there's a sentence near the beginning that doesn't make sense: "Boone holds up his hands, more callused than you might expect from a person who made his first billion in networking routers, and is wearing a cardigan." Yet there's a brilliant scene in which Madoko is blindfolded in her apartment, and the scene begins with a description of a photo in front of her that she cannot see. And there were other clever little descriptions, such as a poodle who was "absurdly dignified, like an old man who has been forced to wear a poodle costume but refuses to let it diminish him." Another passage that struck me was during an emotionally wrought conversation between Luke and Mireille, in which he observes: "After seven months of watching astronauts, it is literally stunning to watch someone fall to disorganized pieces, and then deliberately present rage and resentment, hand it to him on a silver platter, fully cooked, like it's a gift." It's really hard to explain why I loved this book so much, especially without giving too much away. It made me think a lot about reality and our perceptions, and whether or not it matters if something is actually real as long as it feels real. I hate to compare it to The Martian because they're nothing alike, but they are both examples of character-driven science fiction written in an accessible style, which is worth mentioning since that's not especially common. 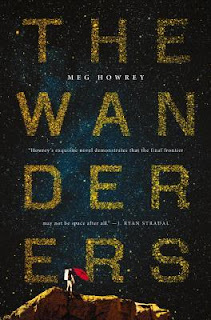 I'd definitely consider the two read-alikes and recommend The Wanderers to anyone who enjoyed The Martian. I'm so glad to see you enjoyed this! I just picked it up from the library and hope to get to it soon. 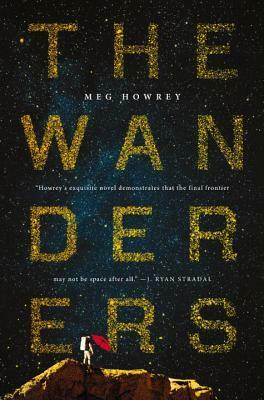 I've totally been in a sci-fi phase lately and it instantly piqued my interested -- plus that gorgeous cover caught my eye!